We are proud to offer personalized assistance to the whole college community, freshman to senior, to help plan and achieve career and vocational success. Our services are designed to help you explore options, connect with opportunities, and succeed no matter what your career aspirations are. Good luck and get started! As you explore the tips and tools on these pages, please do not hesitate to contact me anytime. I look forward to helping you achieve success in all of your pursuits. 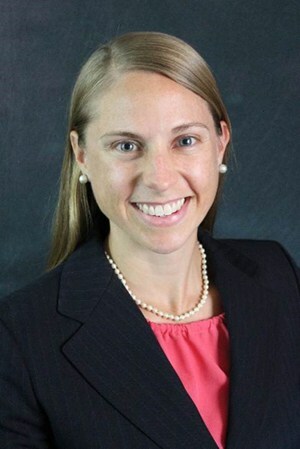 Kristin Stephens has been Christendom College’s Director of Career Development since 2018. She holds a Bachelor of Arts in Psychology from Roanoke College and a Master of Science in Counseling and Student Affairs from Radford University. Kristin has worked in higher education in Career Services and Residence Life and has also taught classes on a variety of subjects, including leadership, study skills, resume writing, and etiquette. She enjoys working with students one on one to help them learn more about themselves and make educated decisions about their future career path. She provides workshops, career counseling appointments, resume critiques, classroom presentations, and related assistance to the students at the college. She and her husband, Dagan, live on 82 acres in Fort Valley, Virginia, along with their two young boys, Calligan and Gibson.